Marvel’s Spider-Man drops on Septermber 7, 2018. That release date is really close! Naturally, Insomniac Games is dropping more and more information on the road to launch, and that includes a new PlayStation Blog post. 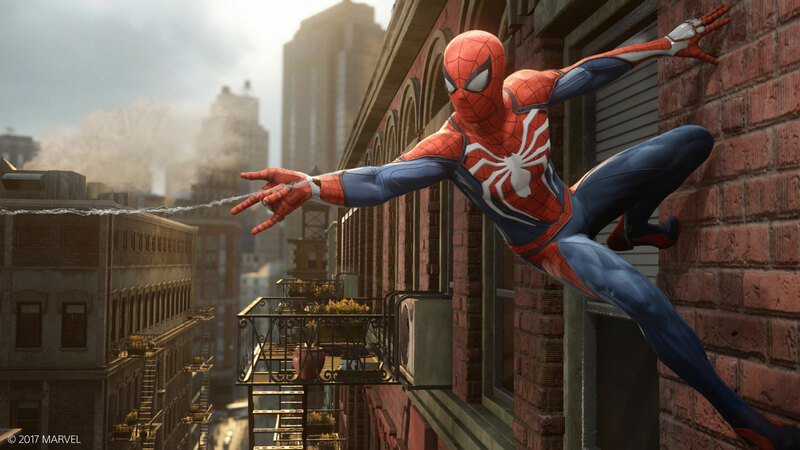 In the post, Insomniac’s community director James Stevenson drops the nitty-gritty on DLC plans for the game, revolving around what is collectively called Marvel’s Spider-Man: The City That Never Sleeps. The City That Never Sleeps is split into three parts, which will be released over the course of the rest of 2018. It starts with Marvel’s Spider-Man: The Heist, which drops on October 23, 2018. Stevenson states that throughout the regular Marvel’s Spider-Man story, players will encounter hints that Black Cat is out and about. The Heist brings her to the forefront with new missions, challenges, enemies, and three new unlockable suits. November 2018 brings Marvel’s Spider-Man: Turf Wars, and the set ends in December 2018 with Marvel’s Spider-Man: Silver Lining. You can buy the whole set in advance for $24.99. They are also individually priced at $9.99 each. The blog post also notes that you can kill however many birds with one stone as possible by picking up the Marvel’s Spider-Man Digital Deluxe Edition for $79.99. That includes the base game, all of The City That Never Sleeps. People get bonus content for preordering as well, including a physical Spider-Man pin.